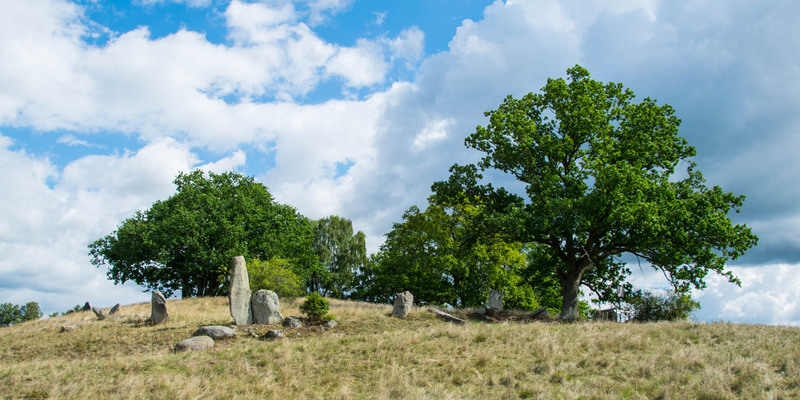 The burial ground Gudahagen is located on a small hill surrounded by meadows and fields, about 2 kilometers southwest of Näsum. 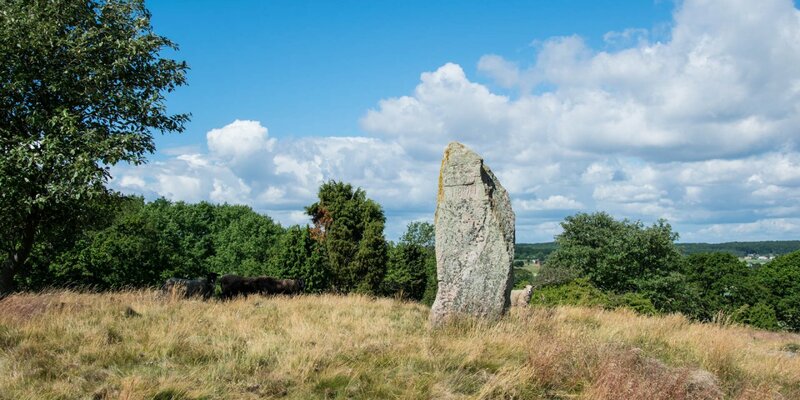 The complex is one of the most remarkable prehistoric places of worship in Skåne. 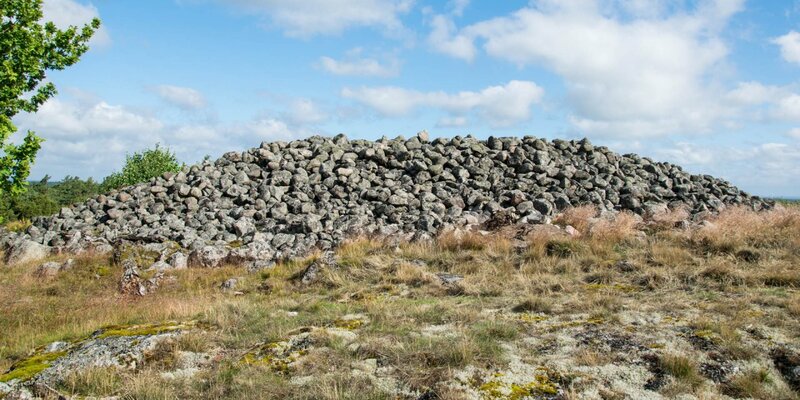 The area of Gudahagen has a size of about 50x50 meter and was enclosed by at least 250 vertically arranged monoliths (menhirs). Two ancient cobbled ramps on the west side leading into the complex, where has been found hambered cairns and fire and body burials from the period between 400 and 1050 AD. 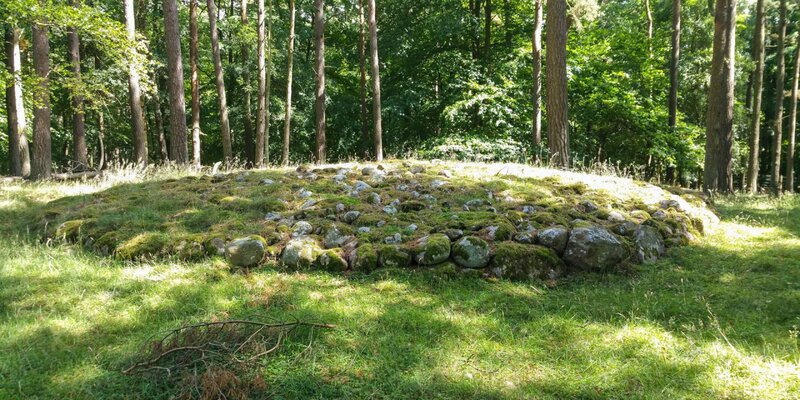 Nevertheless, the original function of the site is still unclear, especially since the enclosure is completely unusual for an Iron Age burial ground. In old maps and lore is mentioned, that Gudahagen could have been a pagan temple or place of sacrifice. Every year on the third weekend in September, several thousand people attending a big Viking market at Gudahagen. There is an interesting program for young and old ind additions to the market stands and viking craftsman.